» The Secret Ingredient to a Casing Integrity Evaluation. The goal of the cased hole wireline measurements is to evaluate the well’s cementation and perform a casing integrity evaluation. For this, high quality data is required to perform a comprehensive evaluation of the condition of the production casing. This mainly refers to Cement Bond Logs (CBL-VDL), Multi-finger, Electromagnetic and Ultrasonic cased hole tools. The wireline measurements are usually performed by the contracted measurement service company like Halliburton, Schlumberger, Baker Hughes or Weatherford as the availability of ultrasonic integrity evaluation tools are limited. For this it is recommended that a third party company, which is independent of the measurement service company, be present to assist at the wellsite. Often the well is measured and the logs are handed over to the company man and the wireline team disappears. Later it is discovered that the data was worthless in the most critical area, but then it is too late to relog or correct the data. Through the guidance of a wellsite advisor, the delivery of high quality measurement data can be assured. It is the responsibility of the advisor to support the well operation team by assisting in the planning and preparation of the wireline logging work through the creation of a customised working plan for the logging work. This assures that the contracted measurements are performed in such a way as to acquire all of the required measurement data from each tool. As there are always operational conditions which required modifications to the plan, the onsite advisor has to work with all parties to assure that the best possible measurement outcome can be achieved. To ensure the success of the cased hole measurements, the following aspects have to be supervised and monitored onsite by the advisor. They include but are not limited to: depth correlation, tool operation and function, tool calibration, tool eccentricity, main pass vs repeat pass assessment, measurement values and final data delivery. How many time has it occurred that cement bond logs was not believable and that more questions were created than answered. It may have been a quality issue like tool eccentricity. It doesn’t take much to effect the amplitude of the 3 foot CBL. Noise in the 5 foot VDL can also be an issue. Fluid speed also has big effect on identifying the formation signal depending on the logging environment. The advisor assesses the data for quality, completeness and correctness. The field data from the wireline service company is delivered as raw data in the form of paper logs and digital files at the wellsite. All data corrections made by the service company will be reviewed and accepted by the advisor. This ensures that the wireline company fulfils their obligations in providing the specified and contracted measurement data according to the scope of work. Having received the raw measurement data or 10 meters of paper logs is not the same as knowing the condition of the well. To access the cementation and the condition of the well casing, the data has to be analyzed and results reported. Prior to the installation of the production packer in the completion phase or any workover, the casing integrity has to be assured before further operations are concluded. 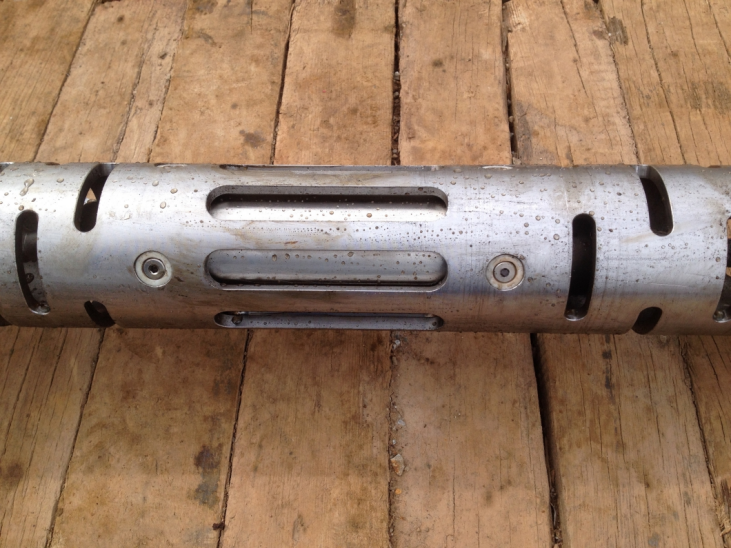 An assessment of the casing integrity can be performed on location shortly after the successful completion of the cased hole logging measurements and usable data has been delivered. A short integrity evaluation report, which accesses the condition of the production casing, is to written by the advisor based on the field data. The cementation evaluation will include an assessment of the casing to cement bond and where applicable the cement to formation bond. The casing evaluation will include an assessment of the inner radius, the percentage of ovality, the casing wall thickness and condition of the packer setting area. All irregularities and/or damages to the casing found in the measurement data will be presented for further review. As a part of the workover, the production tubing is to be measured with cased hole wireline tools to acquired baseline data for referencing to in future comparisons. The evaluation of the production casing and production tubing will be individually assessed and reported. This will be performed through the writing of a casing integrity evaluation and interpretation report. The condition of the well casing will be written in a detailed report to be included in the well documentation and can be referenced to in the future. The PDF logs provided by the service companies are not adequate for an in depth look in the measurement data. The measurement data is to be imported into viewing software using the digital data and presented as attachments to the report. This enables all aspects of interest or areas relevant to the well integrity will be presented in the report as enlarged logs or 3D pictures for better viewing. If previous measurements are available, they can be compared to the latest measurements to access any negative developments in the casing integrity. Advanced casing integrity evaluation of the production casing and tubing properties can be performed based on the acquired data. This included calculating the Burst and Collapse pressure limits for the operation of the well based on the current condition of the well. Additionally, investigations relating to leaks and damage can be performed. Optimising cementing procedures through a holistic study into the well design and the cement bond logs can be performed though experts based on high quality data. This is where an advisor provides a greater quality assurance for the measurements being performed. Through the interpretation of the cased hole measurement data, the condition of the casing and its integrity can be thoroughly evaluated and documented. The key to a good evaluation is the confirmed high quality data through an advisor. An American working and living in Germany since 2003. Paul has worked over 10 years in the upstream part of the oil and gas industry specialising in drilling optimisation and wellbore integrity. As a data analyst he is constantly looking for new projects to evaluate and learn from. Previous Post The Secret Ingredient to a Casing Integrity Evaluation. Next Post The Secret Ingredient to a Casing Integrity Evaluation.